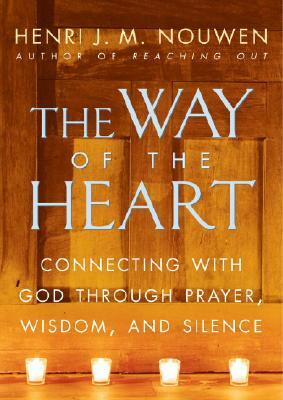 Since its first publication, The Way of the Heart has helped millions of men and women cast off the anger and greed that trouble the world—and find love, compassion, and peace in the heart of God. Inspired by the ancient teachings of St. Anthony and the Desert Fathers,The Way of the Heart clears before us a spiritual path consisting of three stepping-stones: Solitude (learning not to be alone but to be alone with God); Silence (the discipline by which the inner fire of God is tended and kept alive); and Prayer (standing in the presence of God with the mind in the heart). Henri J. M. Nouwen has found a wide receptive audience to his books on modern spirituality. He was a teacher of pastoral theology at Notre Dame, the Yale Divinity School and at Harvard University. He was also a frequent visitor and “family brother” at the Abbey of the Genesee in upstate New York. His many books include The Return of the Prodigal Son, Reaching Out, Clowning in Rome, With Open Hands, Making All Things New, Out of Solitude, and The Genesee Diary. He died in his native Netherlands in 1996.